Caitlin and Sebastian have probably one of the cutest love stories of all time. 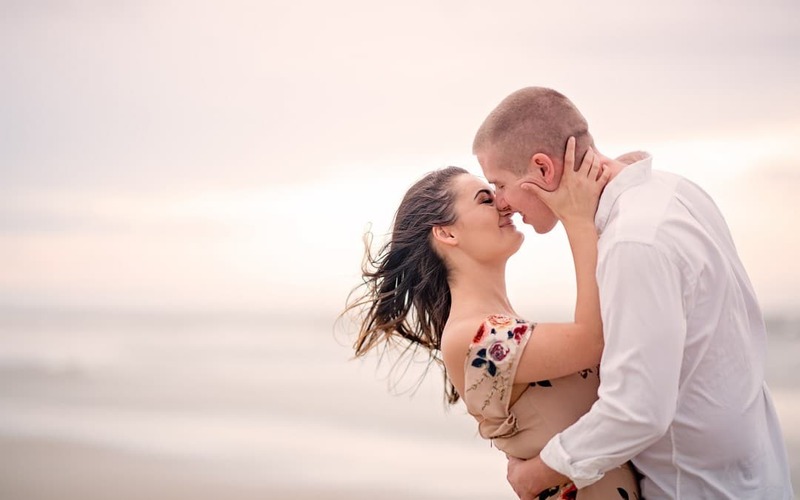 They met in Junior High and started dating their senior year of high school. As they say, the rest is history! Eventually, they got engaged and hired an amazing photographer (hello!) to photograph their engagement at Disney. We spent the entire day in the theme parks and laughed until we cried – I knew their wedding was going to be sooo fun! Of course, I was 100% correct, their Club Continental wedding in Orange Park was bomb.com! The venue was stupid beautiful as always. Club Continental is one of those dreamy southern venues with 300 hundred-year-old oak trees along the banks of the St. Johns River. It was literally the perfect backdrop for Caitlin’s romantic vibe. And can we just talk about her wedding dress and shoes for a minute? So. Much. Bling. Plus her veil was made by her AMAZING seamstress grandma! The ceremony took place outdoors on the patio overlooking the river and it couldn’t have been more perfect. Even the sun cooperated throughout the ceremony and photos afterward, giving us overcast weather until we moved the party indoors for their reception. Which was so much fun. They had one of the cutest cake feedings ever! Caitlin and Sebastian, thank you for trusting me to document your big day! You both are so beautiful, and your love story is going down as one of my favorites! Your babies are going to love hearing this story one day. <3 Here is to many, many more years of happiness and love. I know I just saw these a little while ago but going through them again and I’m crying! LOL Your seriously the best photographer ever, so happy we chose you. Thank you so much for these beautiful photos of our perfect, beautiful day! I am the lucky one! I am SO glad you love your pictures as much as I do! It really was the PERFECT DAY!